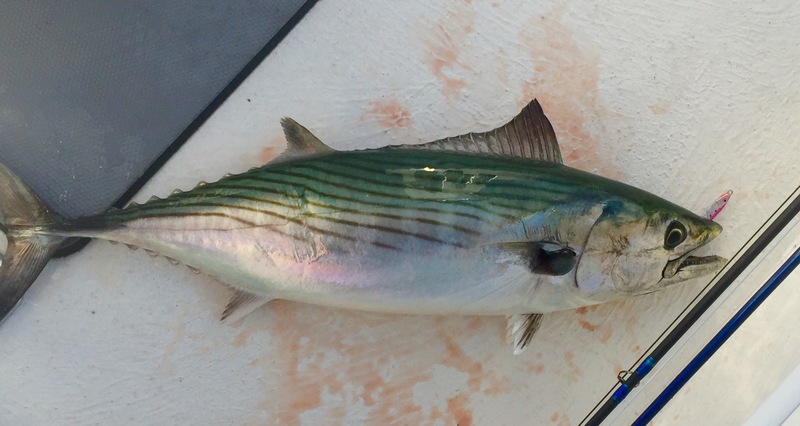 Yup, he went fishing today again and yes that is, indeed, an Atlantic Bonito. Sarda Sarda if you are a taxonomist. Figures.